Turner and inspiring Claude at the National Gallery. David Franchi – Thursday, 07th June 2012. The exhibition “Turner inspired: in the light of Claude” ended with great success of public, at the National Gallery. It has been the spring exhibition of the National Gallery. “Turner Inspired: In the Light of Claude” was the first major presentation of the influence the French painter Lorrain Claude have had on Turner. The innovative importance of Turner in art is renowned. With his challenging free painting technique and far-reaching approach, he created a revolution in painting at the beginning of the 19th century. The inspiration for these prepossessing progresses was the 17th-century artist Claude. “Turner Inspired: In the Light of Claude” told the story behind Turner’s inspiration. The show reveals how Turner’s life-long desire to absorb all he could from the Old Master lay at the heart of his work. It seems the National Gallery exhibition wanted to demonstrate that Turner was taken up with Claude, but lest it is not news he was. In his day, Turner was even known as the “British Claude“. So this exhibition was a much promise that delivered a little less of what were the general assumptions. “Sun rising through Vapour: Fishermen cleaning and selling Fish” (before 1807) on condition that they were hung between two paintings by Claude, which he named as “The Seaport” (Seaport with the Embarkation of the Queen of Sheba, 1648) and “The Mill” (Landscape with the Marriage of Isaac and Rebecca, 1648). 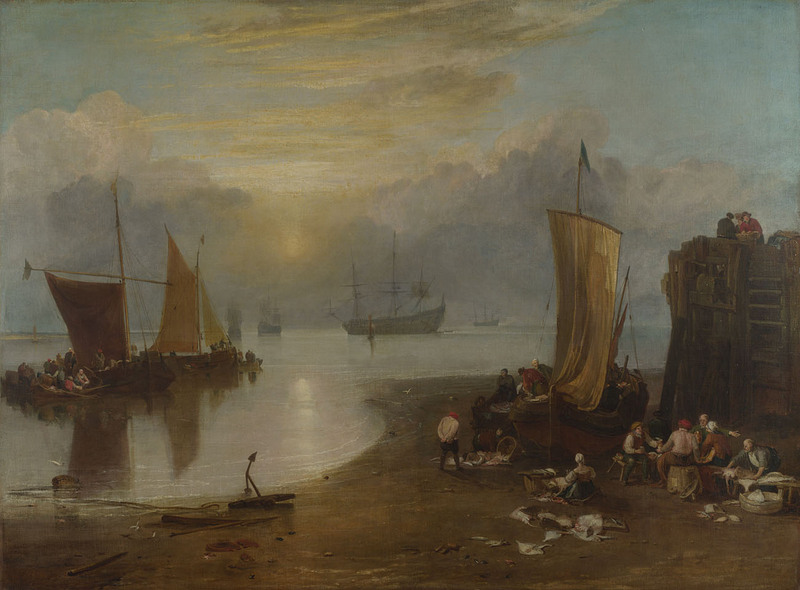 However, at “Turner Inspired: In the Light of Claude” all four pieces were displayed in room 15 of the gallery, and the tribute Turner paid to Claude was made very clear. The National Gallery exhibition adopted a different point of view on the relationship by displaying photographs, letters and works that told the story behind the Turner Bequest – over 1000 paintings, drawings and watercolours Turner bequeathed in 1856 – and its importance in the history of the National Gallery. There is no need to be said, the mastery of Turner in depicting views is astonishing and “Turner Inspired: In the Light of Claude” displayed high valuable pieces – including the brilliant views of the Thames Valley inspired by the Roman Campagna and paintings of the emerging industrial landscape – in which the British painter recreated gleaming light and atmosphere. Turner’s first experience of the work of Claude had an immediate and lasting impact on the artist. A contemporary remarked that, ‘Turner was awkward, agitated and burst into tears’ on seeing “Seaport with the Embarkation of the Queen of Sheba” (1648). He was captivated with Claude’s ability to depict light in landscape and praised his work as ‘pure as Italian air’. 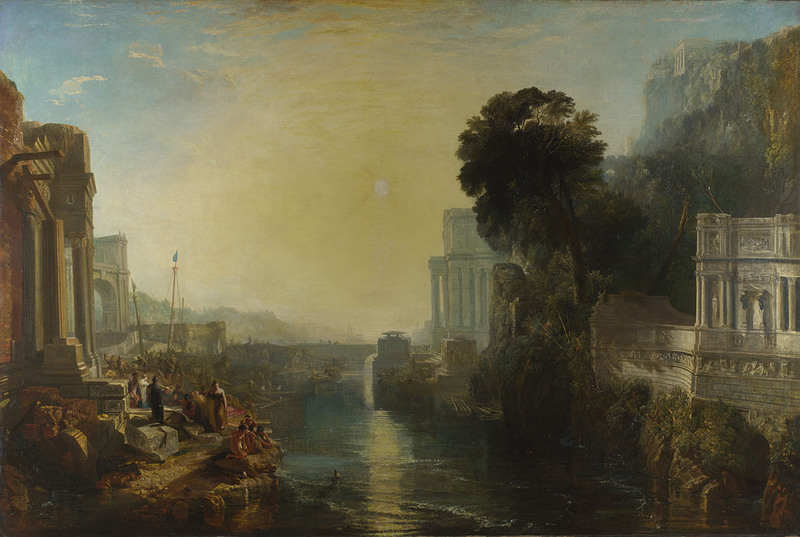 The exhibition focuses on the major themes inspired by Claude that run through Turner’s career and that on occasion shocked and dazzled audiences of his day: the evocation of light and air in landscape; the effect of light upon water; and his often radical reworking of contemporary scenes. The importance of the sea to Britain’s identity is another crucial theme of Turner’s work and Claude’s harbour scenes exerted a powerful hold on his imagination. “Turner Inspired: In the Light of Claude” brings together a rich variety of media such as large majestic oils on canvas, mezzotints, etchings, watercolours and works in gouache, and displays of leaves from Turner’s pocket sketchbooks that show intimate drawings in pen, pencil and ink on paper, rarely on public display. 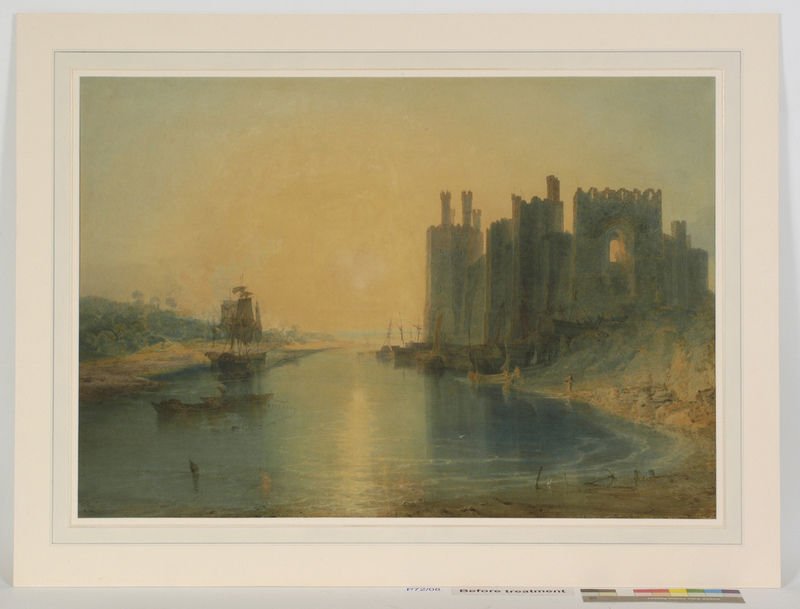 The National Gallery exhibition includes a selection of Turner’s most spectacular watercolours from the 1840s which depict the unique character of Venetian light. “Turner Inspired: In the Light of Claude” unites works from Tate, The Holkham Estate and art galleries and museums around the United Kingdom including Glasgow Museums, Walker Art Gallery Liverpool and Sheffield Galleries and Museums Trust, as well as works from the United States. The exhibition has been organised in collaboration with Tate Britain. It has been conceived, and works have been selected, by Ian Warrell, Curator of 18th- and 19th-Century British Art at Tate Britain and Susan Foister, National Gallery curator. From 14th March until 5th June 2012. At the National Gallery, Trafalgar Square, London. « Taylor Wessing Photographic Portrait Prize 2012 calls for entries at the National Portrait Gallery.